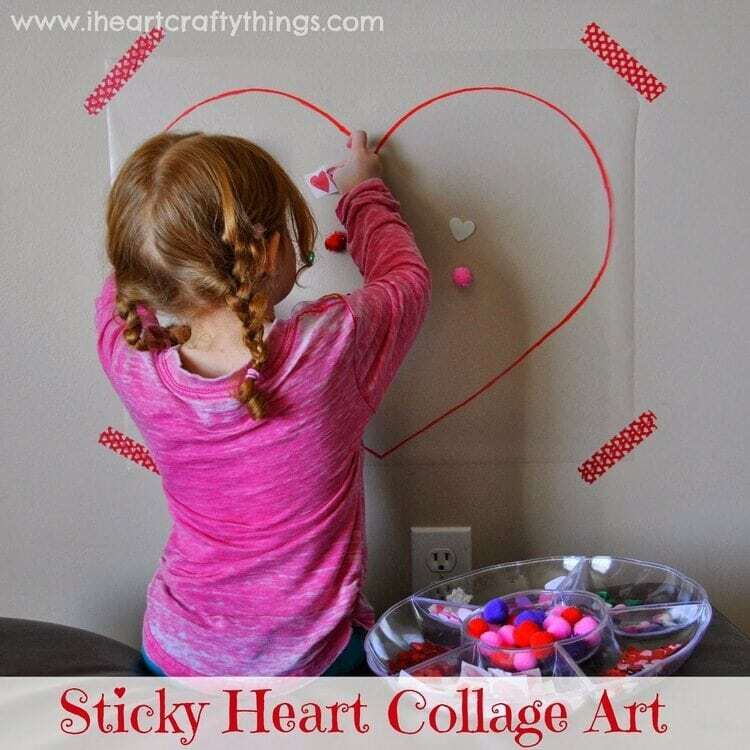 This Sticky Heart Collage Art Activity was not only a hit with my daughter but turned out to be a great indoors activity for a cold winter day! 1. 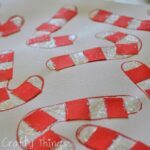 Start by cutting off a strip of contact paper to make your heart. 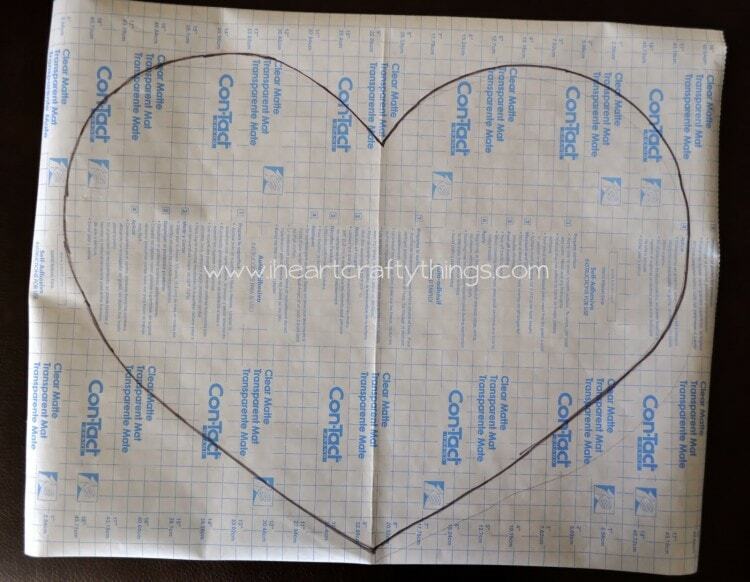 On the back of the contact paper, draw a large heart with your pencil (in case you make any errors) and then trace over it with your black marker. The reason for this step is because now when you turn the contact paper over, you will be able to see the heart showing through the contact paper and can trace a perfect heart. I found it easiest to fold my contact paper in half and draw the half shape of a heart, then unfolded the paper and mimicked the shape on the other side of the paper. 2. 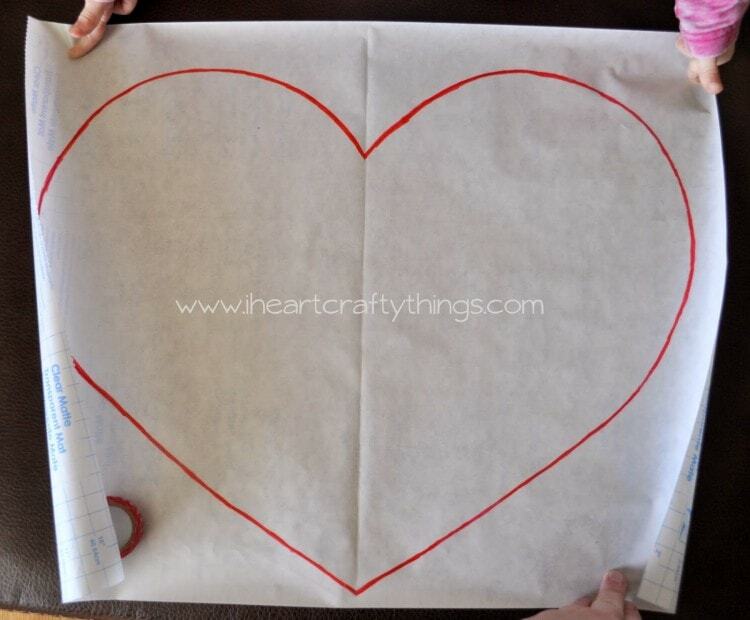 Turn your contact paper over and use your red permanent marker to trace the black heart showing through. I made sure to use a permanent marker since this was going to be in contact with my wall. I didn’t want a washable marker to smudge on the paint on my wall. 3. 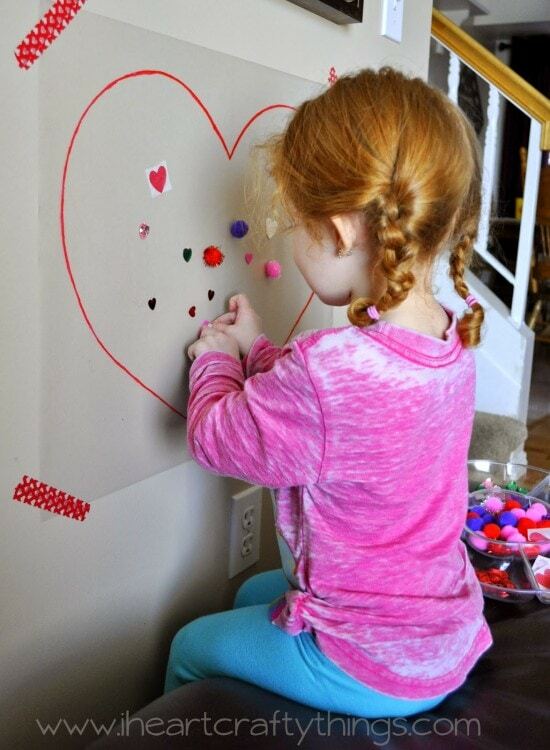 Peel the sticky sheet off and tape it onto your wall with the sticky side facing out. 4. 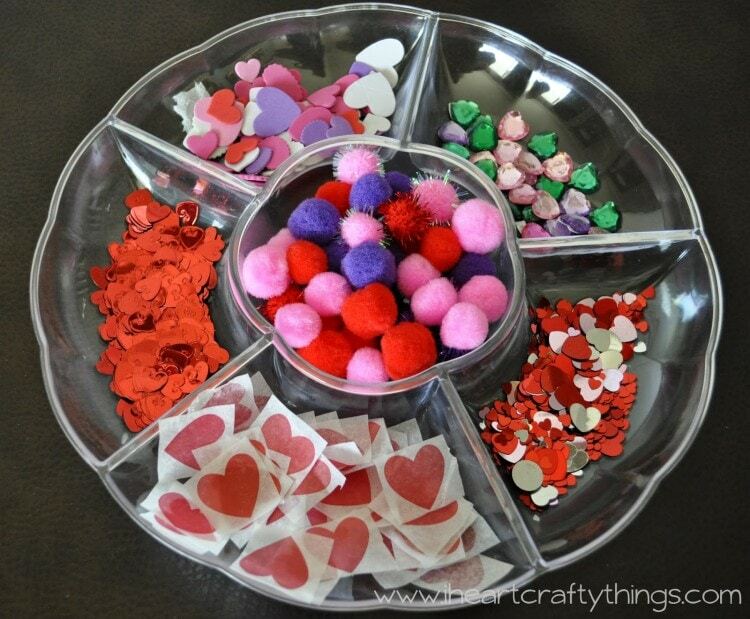 Put together a tray of fun items for your child to make a collage with on the sticky heart. 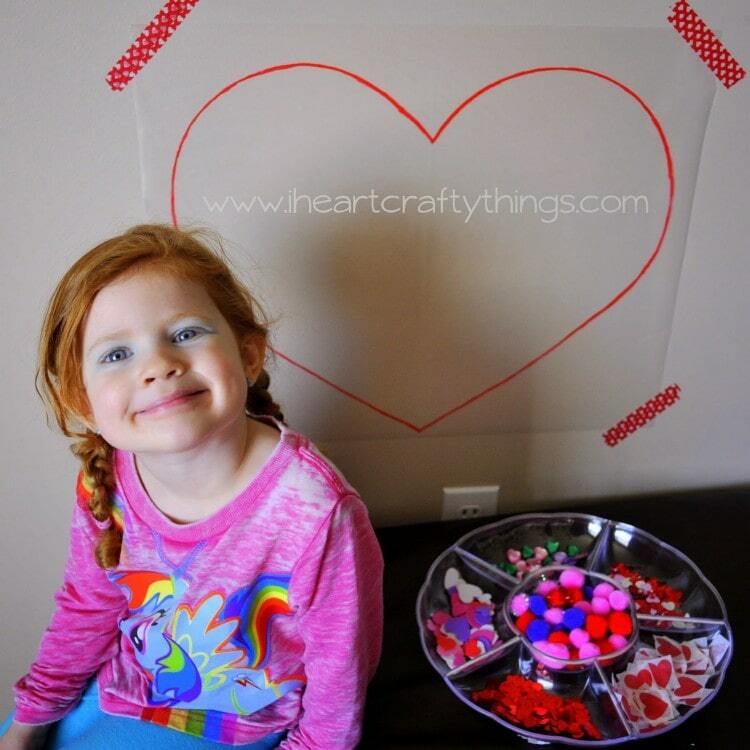 We used heart tissue paper squares that I had cut up, heart sequins, felt heart stickers, red, pink and purple pom-poms and heart acrylic jewels (We received our acrylic jewels from our friends at Craftprojectideas.com.) 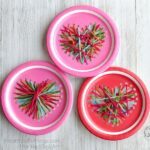 These types of items can be found at Dollar Tree, in the dollar section at Target and the acrylic jewels can be found in the crafts section at your local Walmart. 5. 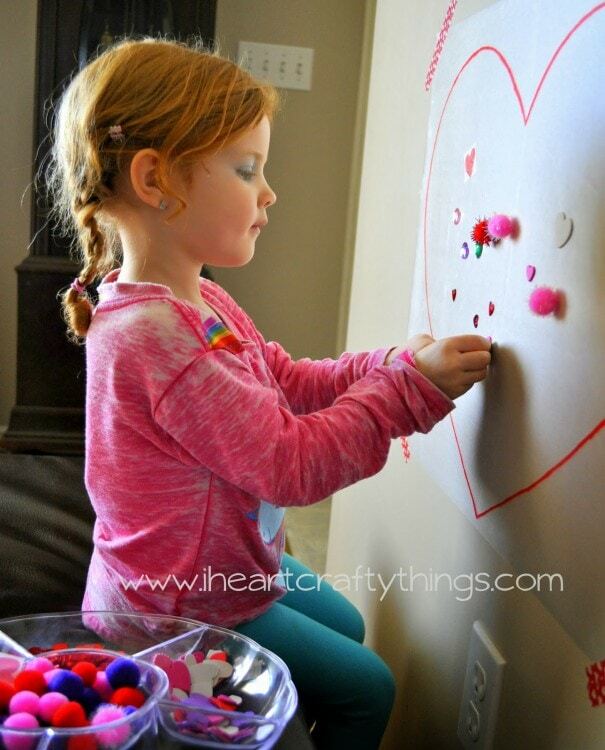 Now set your child/children loose making a beautiful heart collage on the wall. The pom-poms didn’t stick as great as expected (most ended up falling off) but everything else stayed up great! We didn’t remove the backings off the stickers or acrylic jewels and they stuck right on the contact paper. My daughter loved exploring all the different materials and I have to tell you, even my boys (age 7 and 9) came home from school and added items onto the collage. It’s hard to resist! 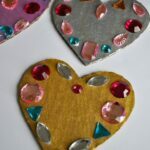 Looking for another fun Valentine’s Day activity? 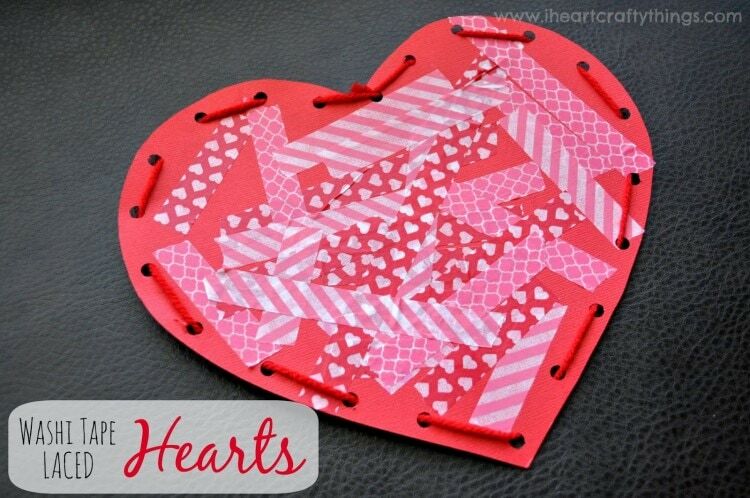 Check out our Washi Tape Laced Valentine’s Heart.